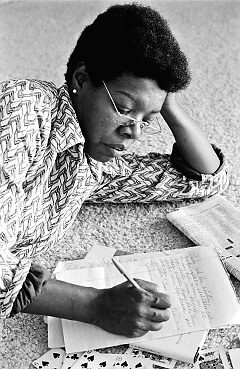 Maya Angelou’s life – a story waiting to happen. Should you write about your upbringing? Your hometown? Your hobbies? Your love life? The possibilities are truly endless. Or, should you turn the table and write what you like? Do you like mystery? Crime? Personal finance, even? In the blog world, ) which is new gold mine for publishers to find their next pitch) the bloggers who have achieved success write about what they like or what they have a growing interest in – and have found a relatable audience to share with – thereby turning their project into something they both know and like. How many 20-something blogs, food blogs, even random information and iteration blogs, were born out of something funny or out of frustration, and have now given birth to a book, television show, or some other form of media? But once the proverbial bubble bursts, the question is asked: is it still fun, or is it work? For some, it’s cathartic to write about what you know – as the pen hits the paper, ideas, memories, people, and places come back to you in ways that you completely forgot about or misunderstood at the time. At some point you have to seek insight from others to get your facts straight, which could lead to a totally different body of work than you planned. For Sugar Hill, the ‘plot,’ per se, dealt with Terry’s life and upbringing, i.e. what she knew. Her next work, focused on historical fiction, will focus on a subject she likes. And even then, the memoir of her childhood wasn’t published until four decades after the fact. It’s an idea to ponder as unborn writers begin to have their foundations take shape – some of your best stories haven’t been written yet, because you haven’t lived long enough to live them out.